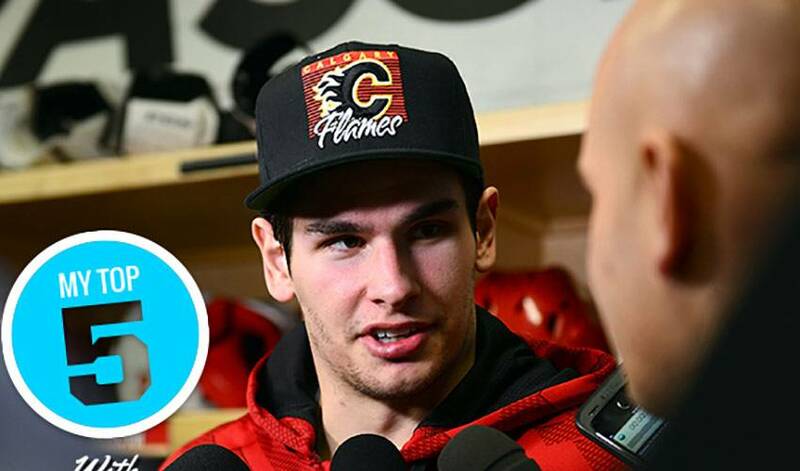 While the Calgary Flames court a spot in the Stanley Cup Playoffs, basketball fan Sean Monahan took a time out to talk hoops. Find out which team the forward caught every playoff game for last season in this week's My Top 5. While the Calgary Flames court a spot in the Stanley Cup Playoffs, basketball fan Sean Monahan took a time out to talk hoops, namely, his favourite NBA superstars. The 22-year-old forward’s list contains one Raptor, a pair of Warriors, a Celtic and a Cavalier.